This weekend we watched a movie called Desert Runners. Have you seen it? It’s a documentary on Netflix about four ultra-runners from all over the world taking on the challenge of running the 4 Desert Grand Slam. This means they are running 250K marathons in four different deserts around the world all in one year. Yeah, that’s right 250k (155.43 miles) marathons. Each marathon is run over a 5 day period and are held in the largest deserts in the world; Antarctica, the Sahara Desert, the Gobi Desert, and Atacama Desert. In the movie you follow each of the runners’ stories of grief, victory, failure, compromise, and growth. It is really beautiful and inspiring to just scratch the surface of this documentary. Now, I have heard this before, as I am sure you have as well, but most of the time it has been in light of dealing with the critic, which is most of what that quote is about, but what hit me this time in hearing this in the movie was the line “…if he fails, at least fails while daring greatly…” What does it mean to dare greatly? Have I really pushed myself to limits within my life, work, relationships, creativity, and soul that I could really whole heartedly say with complete confidence I have dared greatly? Have I let go of all that keeps me tied to the safest places in my life in order to discover new parts of my work, myself, my abilities, and my relationships? 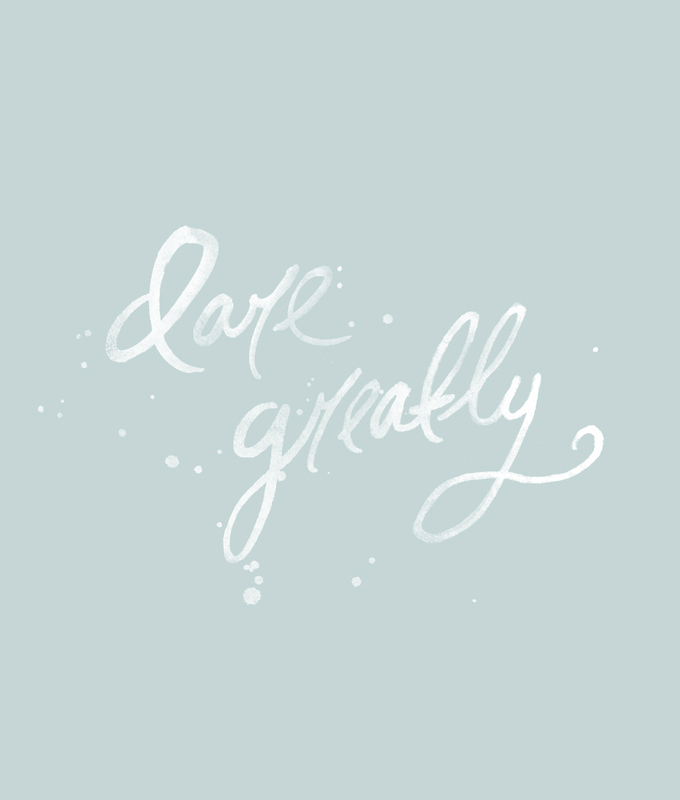 Am I sure I have let go of my fears in order to be capable of daring greatly? I don’t think I have if I am really honest. Most likely this is why I sat enamored with the people in the movie. They were going through the journey of pursuing and fighting for what they believed would help them find that next level of themselves. That was not only something I respected in them but desired to do myself. We all have our own mountains to climb. It isn’t about the recognition or the pat on the back, necessarily. Sometimes it is about finding our limit and knowing we reached the depths of who we are and our skills. It is about discovering that we are greater than we believe ourselves to be. All of which is a continual journey and at times the weight of daring becomes heavier in our life than others. So, to kick off this first full week of April, let’s make a plan on how we can take steps toward feeling we can one day say, “I dared.” I am ready to find the next mountain top in my journey and maybe you feel the same. So let’s go do this and make the most of this week. We got this! Just remember, those who dare are the ones who change how we see the world.